Moulin Rouge! had a gala performance to honor the grand re-opening of Boston's Emerson Colonial Theatre on July 29 and it was spectacular, spectacular. The musical, based on the 2001 Baz Luhrmann film of the same name, stars Broadway favorite Aaron Tveit and Tony winner Karen Olivo as star-crossed lovers. 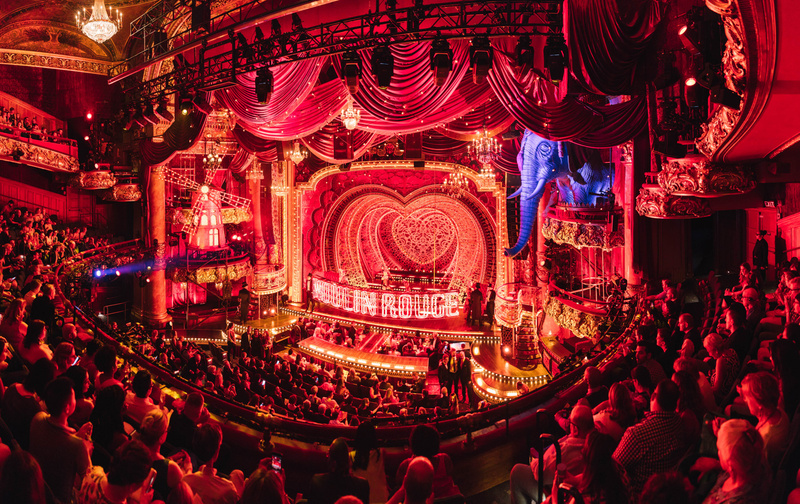 With direction by Alex Timbers, a book by Tony winner John Logan and choreography by Sonya Tayeh, Moulin Rouge! uses well-known songs to move the story along. After being extended and then delayed due to unforeseen circumstances, the highly anticipated show celebrated at the gala and will run in Boston until August 19. Check out all the fun that was had at the opening night gala by checking out the gallery below and get ready to feel the power of the can-can! Moulin Rouge! 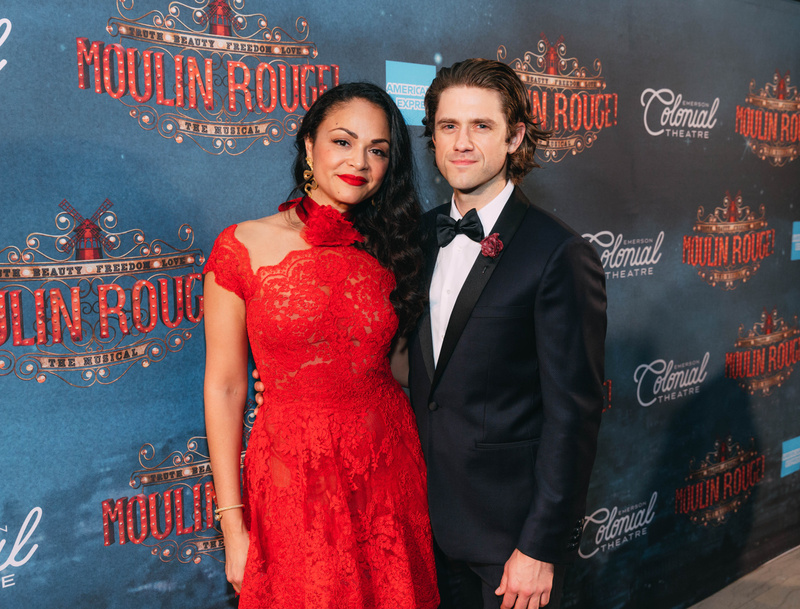 stars Karen Olivo and Aaron Tveit get together. Moulin Rouge! 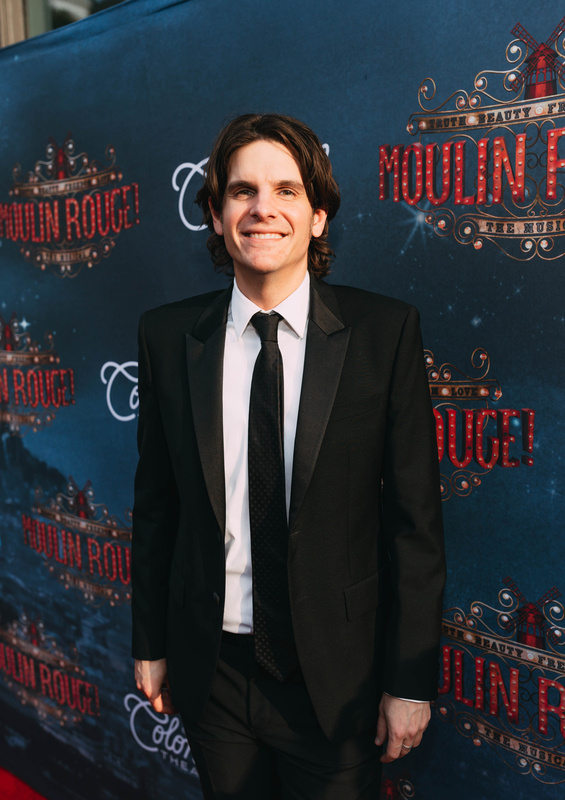 director Alex Timbers celebrates the night. The Moulin Rouge! set design is by Derek McLane. A new stage adaptation of Baz Luhrmann's popular film of the same name.